NEWCASTLE: Thursday, April 11, 2019: KRIS Lees has no regrets about bypassing the Australian Derby with FrankelyAwesome, and is confident she is “ready to go” in Saturday’s $1m Group 1 Australian Oaks at Royal Randwick. Lees wasn’t entirely satisfied that the Frankel filly had recovered fully from her gallant second to Oaks favorite Very Elleegant in the Group 1 Vinery Stud Stakes (2000m) at Rosehill Gardens on March 30, and pulled the pin on a Derby start against the males. “Frankely Awesome could not have won the Derby anyway the manner in which the race was run because they walked,” Lees said this afternoon. Lees has considered Frankely Awesome an Oaks candidate from way back, and is not surprised she has emerged as second favorite to her Vinery conqueror Very Elleegant. “What she did in her first preparation (winning a 1300m Maiden at Newcastle and then 1600m Class 2 at Scone at her first two starts did surprise me, however,” he said. “She has come back a bit dour this time, and is racing like the stayer I felt she would be. “You often find the best filly will be more dominant in the Oaks than the best colt in a Derby, and I’ve got the greatest respect for Very Elleegant. Lees has won two interstate Oaks – Vitesse Dane (Queensland Oaks at Eagle Farm in 2005) and Samantha Miss (VRC Oaks at Flemington in 2008) – and Frankely Awesome’s rider Hugh Bowman partnered both. He has had only four runners in his home State fillies’ classic, and finished second with Flora Danica to Serenade Rose in 2006 (she also chased her home in the Flemington Oaks the previous spring) and a totally luckless third with Lucia Valentina to Rising Romance in 2014. With Bowman in his corner, Lees is naturally hoping he can add the Australian Oaks to his two interstate victories. Winx’s jockey is seeking his fourth success in a row, and has won five of the last 10 Oaks. Lees also starts last Saturday’s Group 3 Adrian Knox Stakes (2000m) winner Aliferous (Kerrin McEvoy), but FrankelyAwesome is clearly his No 1 pick. “The Adrian Knox form doesn’t always translate into the Oaks, and I’m not sure it will this year either,” he said. Only three fillies this century have won the Adrian Knox – Oaks double; Rena’s Lady (2007) being the last. Lees has three representatives in the $2m Group 1 Sydney Cup (3200m) –which he won with County Tyrone in 2006 – and has the sole emergency Fairlight waiting in the wings in case there is a withdrawal. His runners are Red Cardinal (Jason Collett), Big Duke (Brenton Avdulla) and the veteran Doukhan (Andrew Gibbons). “Big Duke has had a perfect preparation; the timing is right with him,” Lees said. “His last run when second to Avilius at weight-for-age in the Tancred Stakes (2400m) at Rosehill was an excellent trial. “Don’t dismiss Red Cardinal either. I would have said he was my pick after his first two wins at Rosehill before his latest defeat. “But he had a tough run in the Tancred, and I thought his seventh in the circumstances wasn’t bad at all. Lees also starts Invincible Gem (Corey Brown) and Princess Posh (McEvoy) in the $1m Group 1 Coolmore Legacy Stakes (1600m). “They have both bounced out of the Emancipation Stakes (1500m) at Rosehill a fortnight ago really well,” he said. 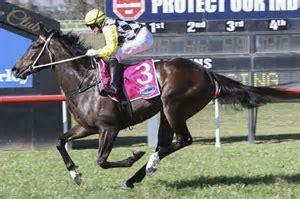 “It was good to see Invincible Gem finally have some luck and win that race, and she has trained on well. “Princess Posh ran below her best,but is very bright and can definitely improve.